I’ve been roleplaying since about 1990 and I don’t think the hobby has ever been so vibrant and rich … there has never been a better time to be a gamer. Update [20 Feb 2019]: Becky’s new project, Bite Me! is now available on Kickstarter. 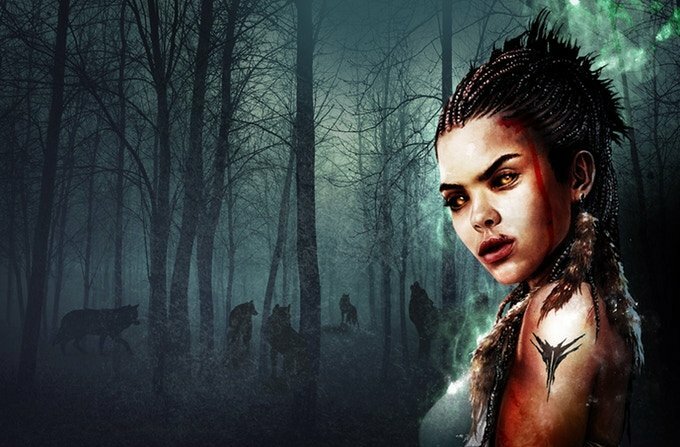 Play as badass werewolves, navigating pack dynamics and exploring emotional relationships. This week we are leaping into dark and eldritch mysteries with Becky Annison (she/her), an RPG designer with Black Armada (blackarmada.com). Becky is a long-time role player based in the UK whose designs showcase her deep understanding of what gets people playing, as much as avoiding the pitfalls of what stops people from playing. So if you’re into thematic narratives oozing with intricate details, read on! 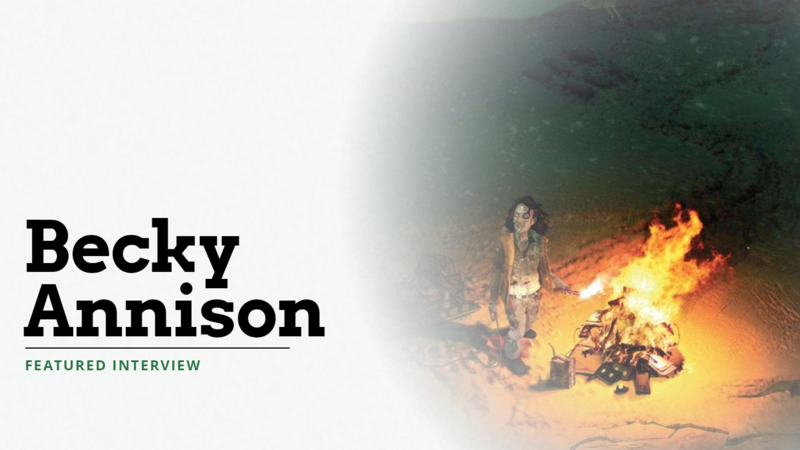 We speak with Becky about Lovecraftesque, a GMless storytelling game of cosmic horror and the breakthrough this design achieved in the difficult field of emergent mystery storytelling. Hold on to your sanity and your ritual knife—we’re opening the gates! Lovecraftesque allows players to experience an emergent mystery featuring eldritch horrors of their own creation. One of our favourite things about the game is that this mystery is collaboratively developed at the table, and is therefore different every time. What was the most memorable Leap to Conclusion you’ve experienced at your table? Becky: The best and most memorable Leap to Conclusions had nothing to do with the final horror that was created (in fact I can’t even remember what the denouement was). What I do remember is that someone I knew, who was too shy and unsure to be a GM had the confidence to propose the final horror and run that final scene. I remember feeling so excited – that if this game enabled people to take that leap to GMing by providing so much support that it felt effortless, then that was really special. I knew it was good at that point. What advice do you have for hesitant players who feel this way? Becky: The beauty of this game is the support for your creativity which is embedded into the system. It shares out the creative load which normally rests so heavily on a GM. The system gives you lots of prompts, encouraging you to build on the ideas of everyone else at the table. No-one has to improvise a complete story alone out of whole cloth. So the Narrator will set the scene, play other characters and introduce a clue, the Watchers take care of dripping eldritch and baroque detail into the scenes and are there to answer questions when the Narrator asks them and the Witness walks through the scene, prodding the mystery and reacting to what the other says. The roles rotate between scenes so everyone gets to try out the different roles and if you go dry in a scene then there is always someone else ready with an idea to pick up the slack until you are back in the swing of things. Since its release in 2016, Lovecraftesque has received much critical acclaim. Looking back over the design, what do you feel most proud of? Becky: Without a doubt it is the Leap to Conclusions mechanic. Josh (the co-designer) and I love mystery games of all sorts and we had spent ages talking about the problem of how to create a satisfying mystery in a GMless game. Satisfying meant that the mystery’s solution would be a surprise to virtually everyone and that it would be consistent with all the clues created and investigated in the run up. We spent many hours discussing how it could be done and Leap to Conclusions was the result. One of the best feelings in the world is coming up with an elegant solution to a design problem and Leap to Conclusions was a real light-bulb moment for us! Where do you hope game design will take you next? Becky: Game design has already taken me to some exciting creative places (and more importantly deep friendships) that I never imagined. But really, I design the games that secretly I wish someone would run for me (and I bet I’m not the only designer who does that). So the real answer to this question is that I want game design to lead me to amazing play experiences. My next game, Bite Me! is kickstarting at the back end of February and this is absolutely a game I hope to be able to play one day. It is a Powered by the Apocalypse game about the emotional life of a Werewolf Pack, filled with blood and tears. Full of powerful moments, intense relationships and camaraderie against the odds! Running a designer’s game for them to play in sounds kinda scary, but is probably the loveliest thing you could ever do for them. What singular issue is important to you right now that you want us to leave here thinking about? Becky: Diversity. I know it probably sounds like a broken record but I think that diversity is creating the most exciting landscape for gaming right now. I’ve been role-playing since about 1990 and I don’t think the hobby has ever been so vibrant and rich. We have access to this incredible history of gaming and now we have all these new stories being told by different voices and I truly feel like there has never been a better time to be a gamer. Things aren’t finished, we need more and more diverse games and I am so excited for 2019 and beyond. Because if this is what we get when we get a little bit of diversity… what on earth might come along next! Becky can be found online @BeckyAnnison on Twitter. Follow her now so you don’t miss Bite Me! when it launches next month! This entry was posted in Interviews and tagged Bite Me!, Lovecraftesque.